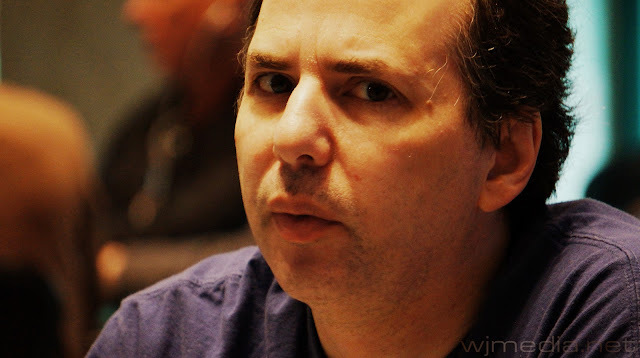 Ralph Macri, winner of the $400 No-Limit Hold 'em event. 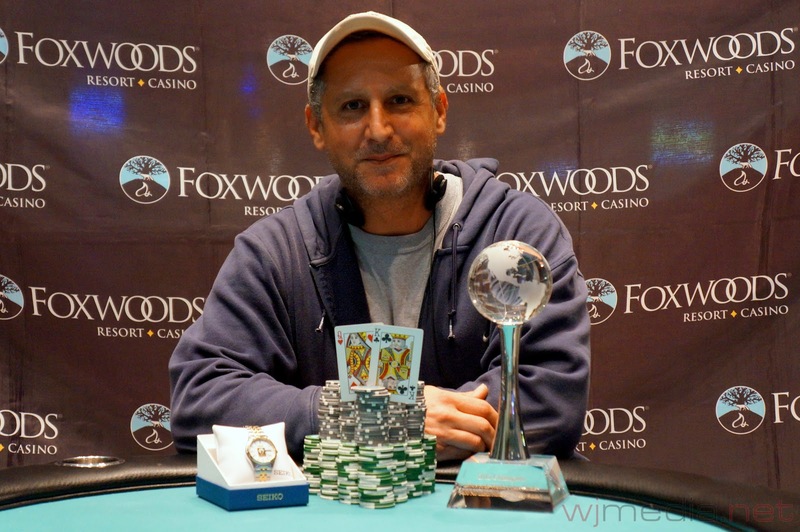 Congratulations to Ralph Macri, winner of the $400 No-Limit Hold 'em event at the 2012 Foxwoods World Poker Finals. Macri takes home $22,815 as well as the World Poker Finals Trophy and watch. 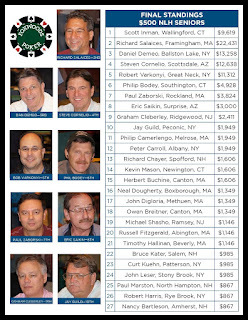 We had a total of 80 players in today's $400 7-Stud Eight-or-Better event at the Foxwoods World Poker Finals. The final 8 spots will finish in the money. We have reached the final table of the $400 No-Limit Hold 'em event. 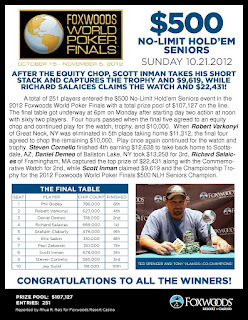 We had a total of 257 players in today's $300 No-Limit Hold 'em Bounty event at the Foxwoods World Poker Finals. 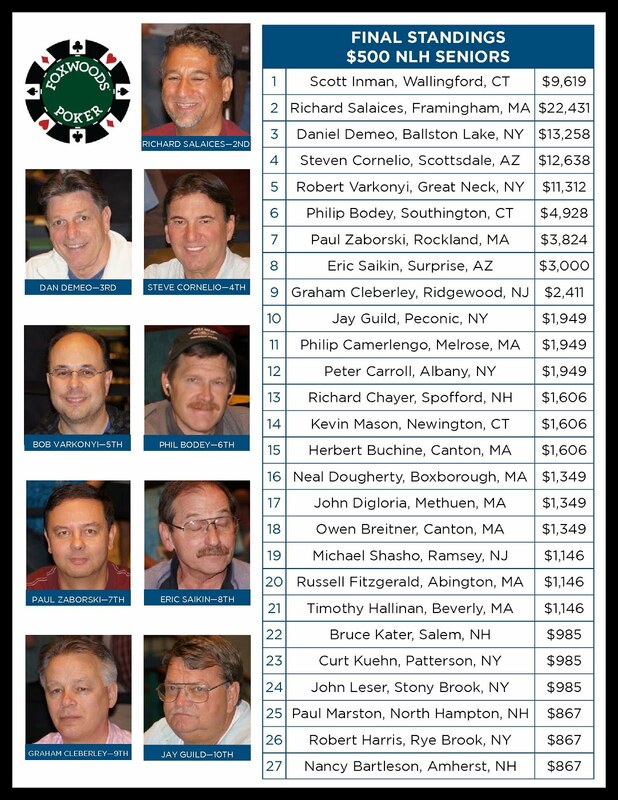 The final 27 spots will finish in the money. 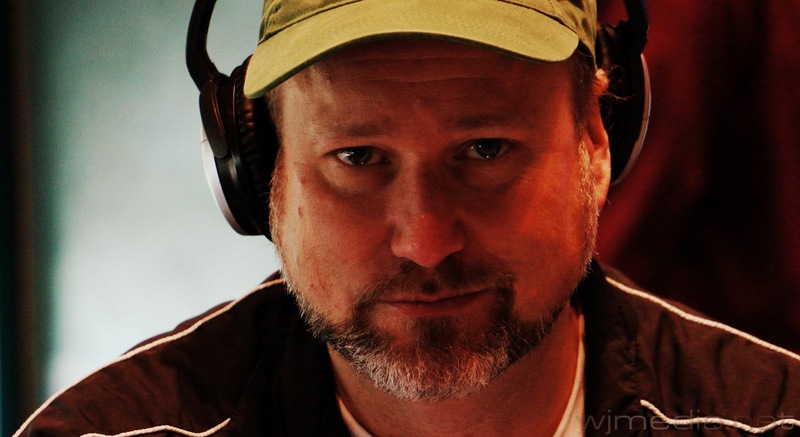 Day 2 of the $400 No-Limit Hold 'em is underway and down to 14 players. The $300 No-Limit Hold 'em Bounty event kicked off at noon today and has around 200 players currently registered. The $400 7-Card Stud Eight-or-Better event just got underway at noon and already has 65 players with registration open for the first four levels.